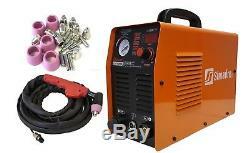 SIMADRE® PORTABLE 50RX 50 AMP 110/220V VOLTAGE PLASMA CUTTER. · Simadre brings you the latest in plasma cutter technology with the new lightweight and portable 50RX. · An affordable high quality machine that performs as well as and in some cases surpasses well known American made machines at a fraction of the cost. · Digital Display on front panel. · 7" Per minute at 3/4" Thick Steel (3" Per minute at 1" Steel Severance Cut). · 17" Per minute at 1/2" Thick Steel. · Machine is equipped with a large cooling fan and the PAPST Advanced German Cooling System for a longer life. · Equipped with an advanced inverter technology and high cutting frequency V-MOSFET from TOSHIBA/FUJI. EMC, LVD, C-TICK SAFETY STANDARDS. 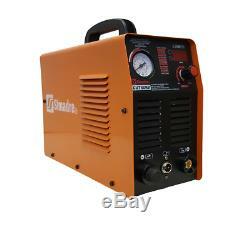 · Plasma Cutter - Inverter Unit. 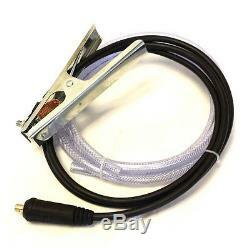 · Ground Cable & Ground Clamp. 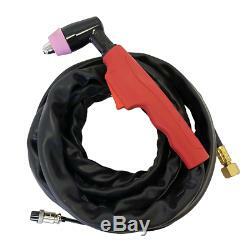 · Power Handle Style Torch with Hose. · Ceramic Shield Cup / Ring. · Duty Cycle: Cycle 60% at 50 Amps and 100% at 30 Amps. · Max Cutting Thickness: 3/4 Rated Severance Cut. · Rated Output Current: 50 Amps under 220V. · 110V or 220V power source & plug. · Box size: 17 L x 8 W x 16 H. · Unit Weight: 22 lbs. · You are responsible for any COD and Duty charges. · All sales are final. If you would like to return your product for repair or replacement, please contact send a message through eBays message center. With reasonable care this unit should provide many years of trouble free service. 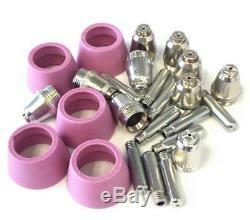 · This is a stock photo of the actual model unit and accessories you will receive. The item "PLASMA CUTTER 25 CONS SIMADRE 50A 50RX 110/220V EASY 1/2 CLEAN CUT w 60A TORCH" is in sale since Tuesday, April 17, 2018. This item is in the category "Business & Industrial\CNC, Metalworking & Manufacturing\Welding & Soldering Equipment\Welding\Welders, Cutters & Torches\Plasma Cutters". 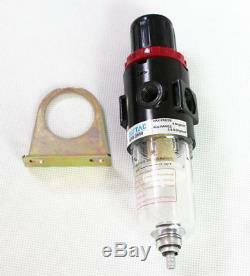 The seller is "kevjsb" and is located in Goleta, California. This item can be shipped worldwide.